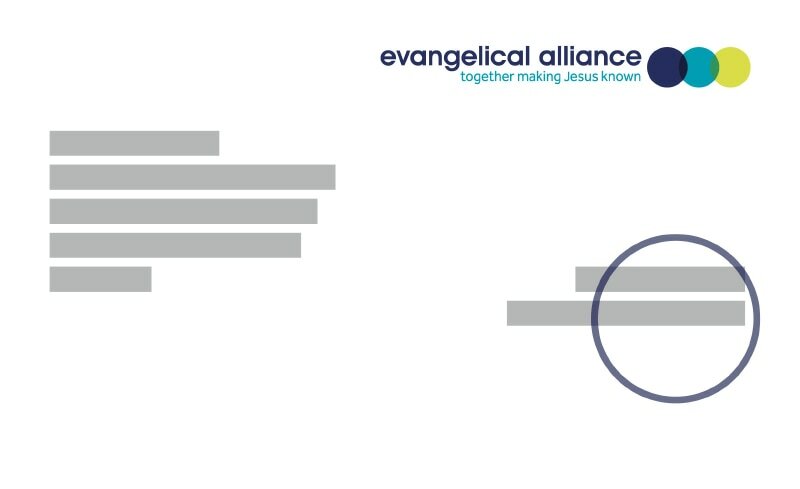 The Evangelical Alliance is the largest and oldest body representing the UK's two million evangelical Christians. Our aim is to connect people for a shared mission of making Jesus known. The information you provide will be held in accordance with the General Date Protection Regulation (GDPR). We will do all we can to protect your privacy and to make sure any personal information you share with us is stored securely. We value and respect everyone who connects with us. In line with our Christian beliefs, our aim is to be as clear as possible about how and why we use information you give us. If your questions are not fully answered by the information below, please contact our data protection officer who will be happy to help. Email info@eauk.org or telephone 020 7520 3830. Compliance with GDPR underlies all of our personal information privacy practices. We also have a data protection policy which governs how we use the information that we collect about you. We collect personal information each time you are in contact with us. For example when you become a member, make a donation, book into an event, request a resource, give your details to an Evangelical Alliance speaker at an event or send us an email. The Evangelical Alliance does not receive or hold any credit card details for donations/payments made via our websites. All credit card payments are handled by our agents 'Secure Trading Limited'. Secure Server Software (SSL) is used to encrypt all credit card information sent from this website. To provide you with information about our work including membership-related mailings, events and resources and to tailor this kind of information according to your location and expressed interests. To ask for financial and non-financial support, such as prayer. To process donations you give us and to ensure they are recorded correctly. To keep records of your relationship with us. For example; what events you have attended, what enquiries or complaints you have made, what areas of our work you have supported or what resources you have ordered. To customise the information and appeals we send to ensure we work in the most cost-effective way and only send information which is appropriate to you. To enhance or improve your experience on our website. When you indicate your preferences through your use of our site, we may use this information to personalise the site to better meet your needs. You can change the way we contact you or the kind of material we send you at any time by contacting us by mail, phone or email using the contact details above. You can unsubscribe from our regular emails at any time by using the 'unsubscribe' or 'change preferences' links on the email you have received. Name and address details are passed to mailing houses to enable fulfilment of membership and fundraising mailings and resources you have requested. These may include idea magazine, membership renewals, resources, fundraising and other membership information as required. Where such details are shared we have confidentiality agreements in place that restrict the use of your information to the purpose for which it is provided and ensure it is stored securely and kept no longer than necessary. All agents we share details with are also compliant with data protection law. To minimise the risk of unauthorised disclosure of your information, we may use some of your information to verify who you are when you contact us. The information that you provide to the Evangelical Alliance will be used to provide you with information about our work including membership-related mailings, events, resources, fundraising and other services and activities described on our website. By providing information you are agreeing to receive mailings that communicate the work of the Evangelical Alliance. The Evangelical Alliance uses MailChimp to send regular emails. By providing us with your details you are giving the Evangelical Alliance your express permission to transfer your data to MailChimp. If you do not give this permission then the Evangelical Alliance will not be able to send emails to you. Each time you receive an email you will be able to update your preferences and subscribe or unsubscribe from regular emails via MailChimp. The Evangelical Alliance may carry out analysis of the personal information we collect about you and add publicly available information to create a profile of your interests, preferences and level of potential donations so we can contact you in the most appropriate way and with the most relevant information. If you make a major gift to our work and where you agree to such a relationship with us, you will be given a relationship manager who will discuss and agree with you any sensitivities you may have about the personal data we hold and the methods of contact suitable for you. The length of time we keep the information you have given us depends on the context in which you provided it. We will only keep information that is necessary for us to provide membership mailings, other resources and for statistical purposes. We will keep records of any financial transactions you enter into with us for a minimum of six years. This will enable us to meet with accounting requirements and respond to any questions from you that arise during that period. Gift Aid declarations and transactions must be kept for a minimum of 12 years after the Gift Aid is no longer valid. We use websites such as Vimeo and YouTube to embed videos on our websites and you may be sent cookies from them via our site. Please look at the cookie and privacy policies on these 3 rd party sites if you want more information about this. As some of these 3rd party services may be based outside of the UK and the EU they may not fall under the jurisdiction of UK courts. A cookie is a piece of information in the form of a very small text file that is placed on an internet user's hard drive. It is generated by a web page server, which is basically the computer that operates a website. The information the cookie contains is set by the server and it can be used by that server whenever the user visits the site. A cookie can be thought of as an internet user's identification card, which tell a website when the user has returned. This policy was last updated in August 2018 but will be subject to regular review. Please revisit it each time that you consider giving personal data.